Romcom Redemption – arts, ink. Since the late 1980’s romantic comedies (romcoms) have been a staple genre. It was popular all the way until the late 2000’s when the genre feel out of popularity. Now Netflix is bringing it back. There seems to be a gigantic list of romantic comedies that came and are now classics from the 80’s. There is “When Harry Met Sally”, “16 Candles”, “Pretty In Pink”and “Can’t buy Me Love”. These romcoms are now classics and must watches for all romcom lovers. The 80’s also had several romcom stars. The most notable being Molly Ringwald who starred in “Pretty In Pink” and “16 Candles”. The theme of female romcom stars continued all the way to the present. The 90’s was the arguably the golden age of the romcom. Movies from “Notting Hill” to “10 Things I Hate About You” were somewhat popular while some of the biggest hits that every person still knows are “Sleepless In Seattle” and “Clueless”. “Clueless” was the “Mean Girls” of the 90’s and became a quotable icon very quickly. “Sleepless In Seattle” is one of the most iconic romcoms that everyone knows and loves. It is one of the most must see romcoms and movies in general. Some of the stars from the 90’s romcoms are Meg Ryan and Tom Hanks. Not only were the two popular romcom stars but they also starred opposite of each other in two of the biggest romcoms of the 90s (“Sleepless In Seattle” and “You’ve Got Mail”). The 2000’s were the downhill slope of the romcom. The theater and tv were getting so saturated that not that many stood out to the general public. Some of the big romcoms were “27 Dresses”, “Bridget Jones Diary”, “The Proposal”, and “13 Going On 30”. 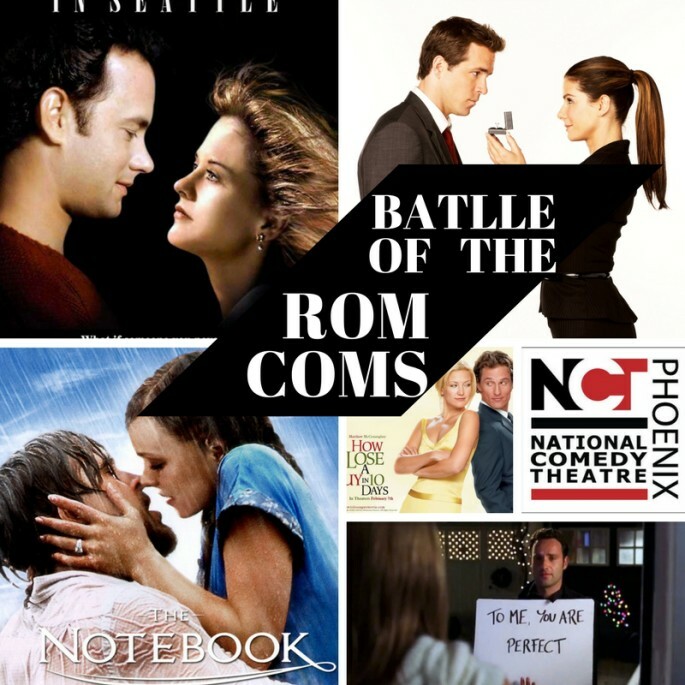 The 2000s split romcoms into several categories because there were so many movies. Romcoms were split into teen movie romcoms, made for tv romcoms and then hit romcoms. Some of the teen romcoms were “She’s The Man”, “What A Girl Wants” and “A Cinderalla Story”. The star of the teen romcom category was Amanda Bynes who starred in over 5 romcom movies. There were many stars of the popular romcoms, One of the stars of the popular romcoms was Sandra Bullock who starred in “Two Weeks Notice”, and “The Proposal”. Two others were Anne Hathaway and Jennifer Lopez. After the early 2000s were over saturated with romcoms the genre died down for a little bit. There was only made for tv romcoms, with most of them coming out of the Hallmark Channel. Over the past year Netflix has tried to redeem the genre and have been creating a large amount. There most recent movies have gotten a lot of attention and they are bringing new romcom stars. The most popular Netflix romcoms are “The Kissing Booth”, “Set It Up”, and “To All The Boys I Loved Before”. With these movies the biggest star that has risen is Noah Centineo who starred in “To All The Boys I Loved Before”. With all of these new Netflix romcoms the genre is coming back into the lime light and is being revived.